Soul Inspired Events and Soul Inspired CIC have announced that British soul star Gabrielle will headline Liverpool’s first ever Soul Festival in October. In a career spanning more than twenty years, Gabrielle has become one of Britain’s most successful soul singers, achieving multiple Top 40 hits – including the number 1 smashes Dreams and Rise, the latter of which features a rare sample of Bob Dylan’s Knocking On Heaven’s Door personally approved by Dylan himself – and multi-platinum albums. 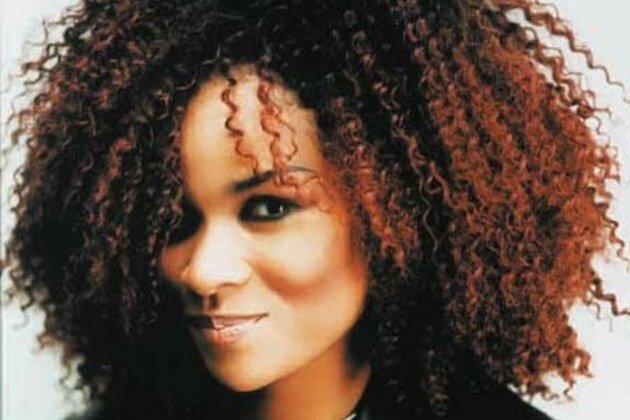 "Gabrielle has won many prestigious awards for her work, including several BRIT and MOBO Awards, and her most recent album even won her a coveted Ivor Novello Award" Liverpool Soul Fest founder Saeed Olayiwola said. He added: "We are made up to have Gabrielle play Liverpool SoulFest 2015. To have an artist of her calibre play our first ever festival will really put us on the map." Other artists joining Gabrielle who will be performing at Constellations in Liverpool’s thriving Baltic Triangle, include the highly acclaimed Eska, Jermain Jackman, Sasha Simone, Ayanna Witter-Johnson, Dora Martin, Nate Williams, Mi’das, Judith Ude and J. Appiah. Adding a local flavour will be LIMF Academy "Most Ready" artists Jalen N’Gonda and Amique. A DJ takeover in 24 Kitchen St will feature the much sought after DJ Niceness (Neo2Soul/Stilldope Radio) and DJ legend and soul connoisseur Roger Williams of Soulsorts. Saeed added: "There’ so much going on between the 23rd and 25th October 2015! The festival will host events encompassing music, dance and food in venues across the city, including exclusive live performances and DJ sets at Constellations, 24 Kitchen St and Baltic Social in the city’s thriving creative hub, The Baltic Triangle." "In addition, further events at for example, the Epstein Theatre will extend the cultural reach of the festival by celebrating the dance that soul culture has inspired." Wendy Simon of Liverpool City Council said; "Liverpool Soul Fest 2015 is a fantastic addition to the city’s cultural offer. It’s shaping up to be an exciting and unique event, promoting Liverpool as the soulful city it has always been; the kind of event that the people of Liverpool and visitors to the city can embrace with their hearts and soul." Soul Inspired has been running soulful events in Liverpool since 2012. In addition to the monthly Soul4Soul concerts and annual Soul Reach charity events at Parr Street’s Studio 2, they have curated stages at festivals such as LIMF, Sound City and Pride. Soul Inspired has also been responsible for bringing internationally acclaimed soul-inspired artists to Liverpool, including Grammy Award winners Snarky Puppy, Kirk Whalum and John Stoddart.